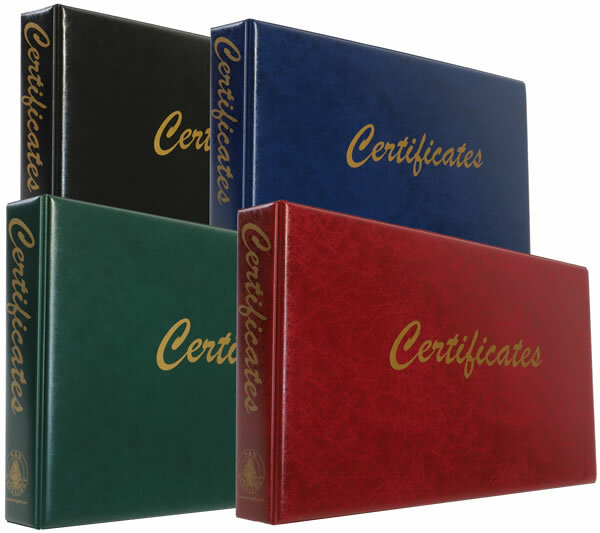 Our range of certificate binders and family history binders are great for presenting your family history, holding certificates, documents and photographs. 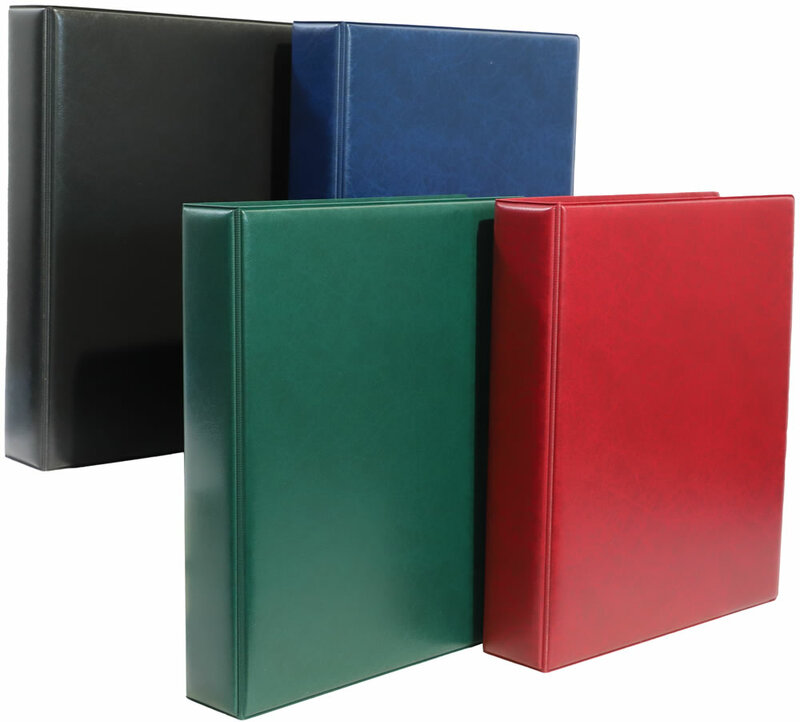 S&N offers a variety of different size binders with high quality ring mechanisms and durable, padded, leather grain style covers. All our binders come with 4 archival quality sleeves, which are also available to purchase seperately. We also sell acid-free card, paper and tabbed dividers for our binders. 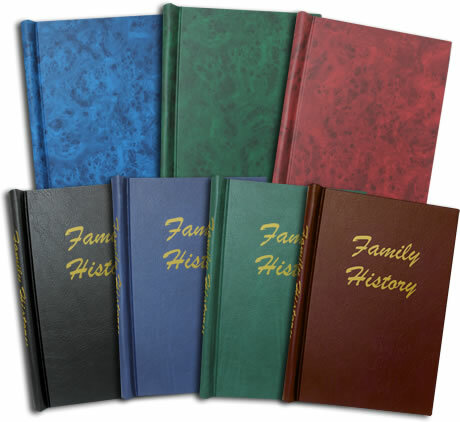 A perfect complement to our range of binders, our springback binders are ideal for presenting your family history. Unlike ring binders, you don't have to punch any holes in the paper - you simply choose the sheets you want, fold the covers of the binder back, and place the paper into the spine. You can add or remove pages as many times as you like. 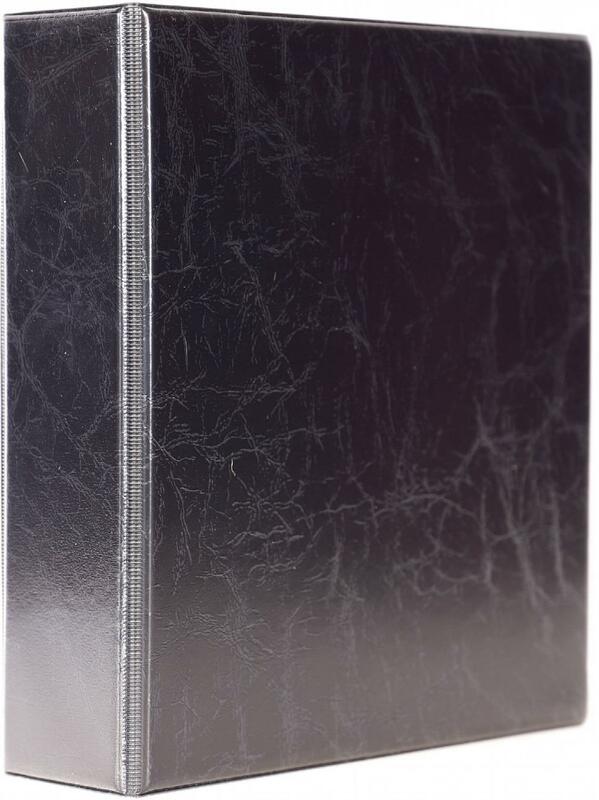 This binder has hardback covers with an acid-free lining, and has a 25mm capacity, which can hold up to 200 A4 pages. We recommend leaving a 30mm margin on the binding edge for any pages that are going into the binder - this means that you won't have any text disappearing into the gutter. 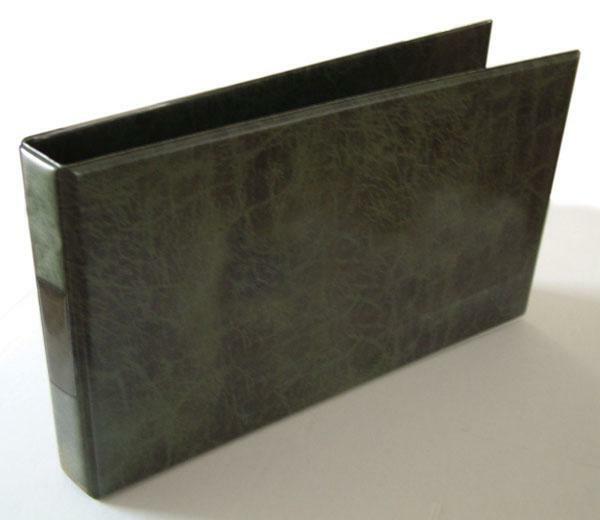 We have two types of covers available - a plain hardback cover, or a leather effect cover. 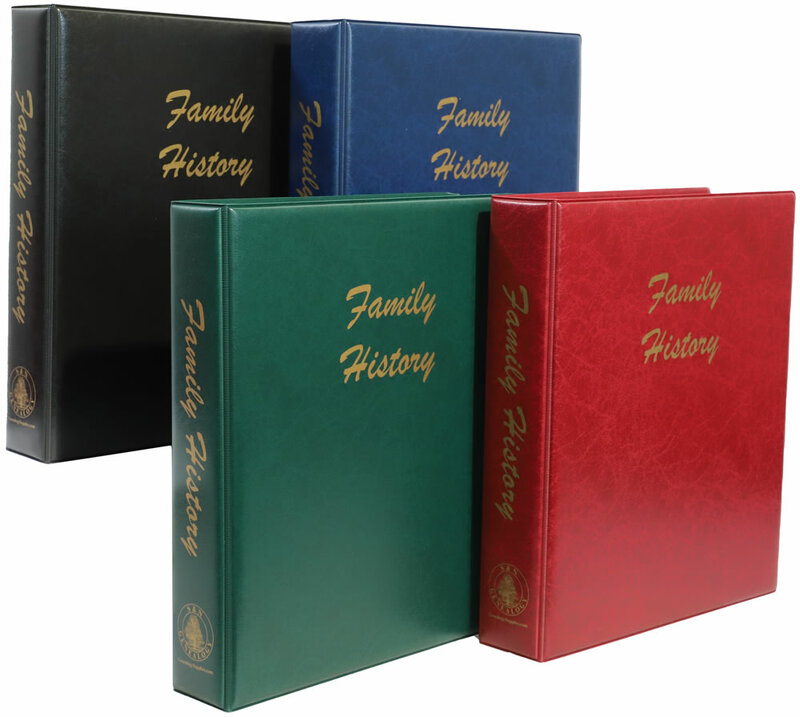 For either type of binder, you can have them with plain covers or you can have them with 'Family History' in gold lettering on the front and spine. 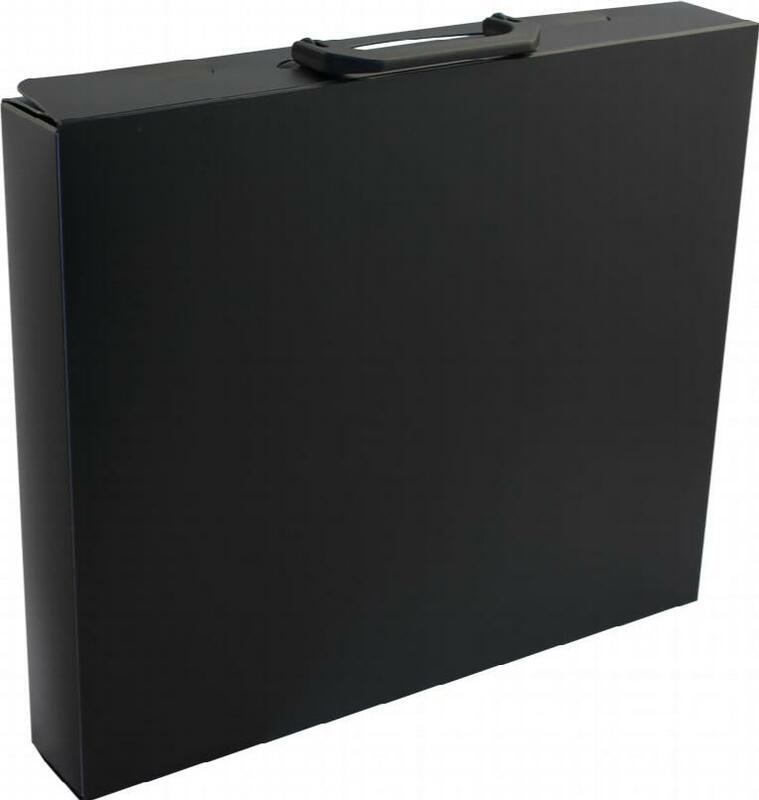 These luxury padded binders have a heavy duty 4 ring mechanism with strengthened covers to provide your documents with extra protection. 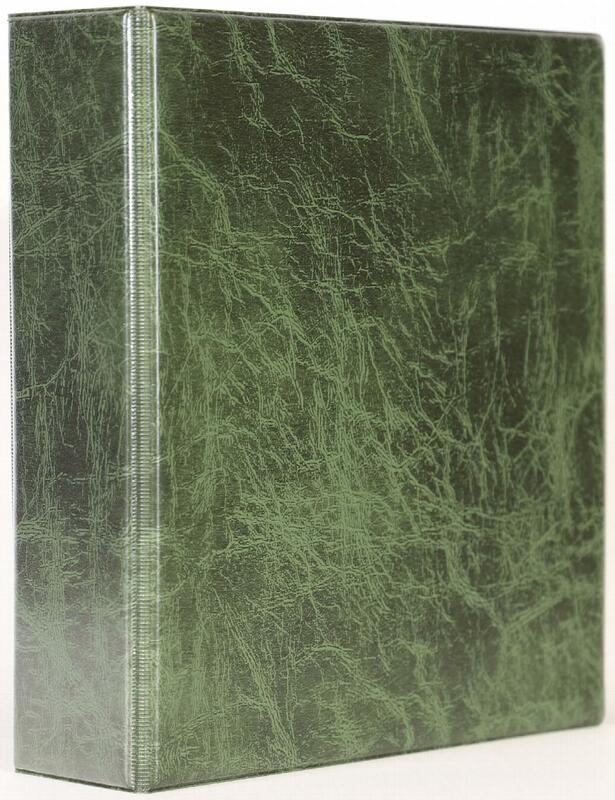 The padded leather grained look binder has the word 'Certificates' printed on the cover and spine in gold, and takes both the old long style or new style Birth, Marriage, and Death Certificates. Designed for use in our long certificate binders, these inert sleeves take two certificates back to back giving archival quality, acid free storage. The pocket measures approximately 39.1cm x 22.9cm (15⅛" x 8⅞") & will accomodate both the older style and the modern A4 certificates. This pack of acid free white card inserts is desgined to fit in our Long Archival Certificate Sleeves. This card keeps your certificates flat and separates certificates for back to back display. Designed to separate various types of Certificates. One pack includes 5 dividers. 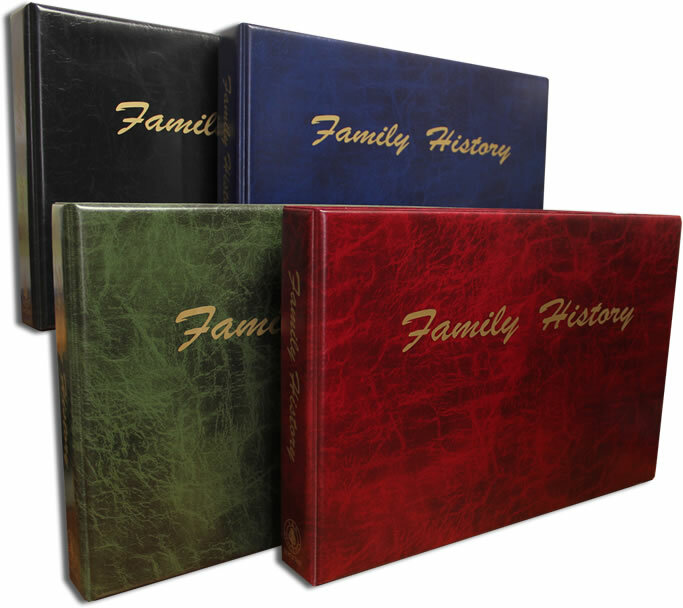 Don't want "Family History" written on your binder? We also sell untitled A4 binders, which come without the gold lettering on the cover and spine of the binders. These A4 Jumbo Binders have a 2 D-ring lever arch mechanism and hold up to 120 sleeves. These luxury padded binders have a heavy duty 4 ring mechanism with strengthened covers to provide your documents with extra protection. 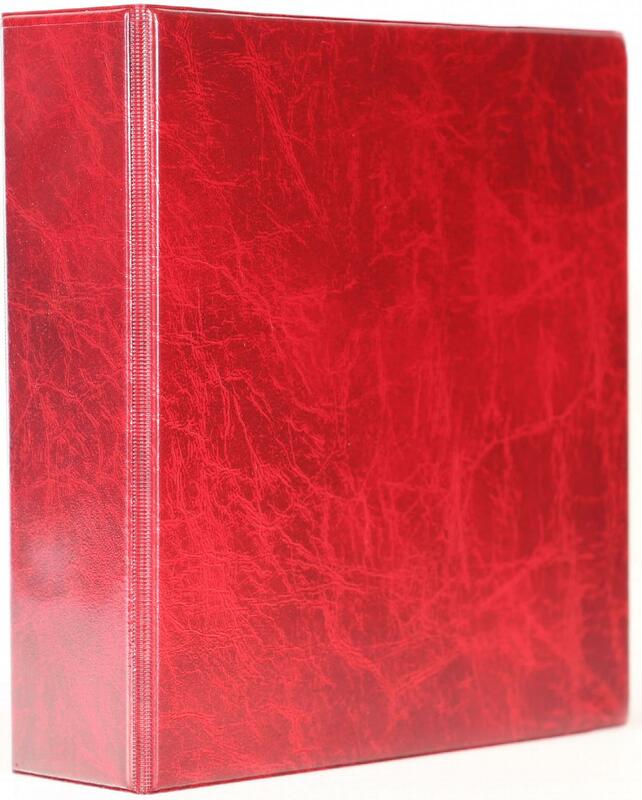 The padded leather grained look binder has the word 'Family History' printed on the cover and spine in gold, and takes any A4 documents, including the new style Birth, Marriage, and Death Certificates. Designed for use in our A4 Family History binders, these inert sleeves give archival quality storage and are provided in a number of different pocket sizes for storing different items. This pack of acid free white card inserts is ideal for keeping documents flat and for back to back display. Designed to separate various types of documents or sections on your binder. One pack includes 5 dividers. These luxury padded binders have a 4 O-ring mechanism and has a padded leather grained look. 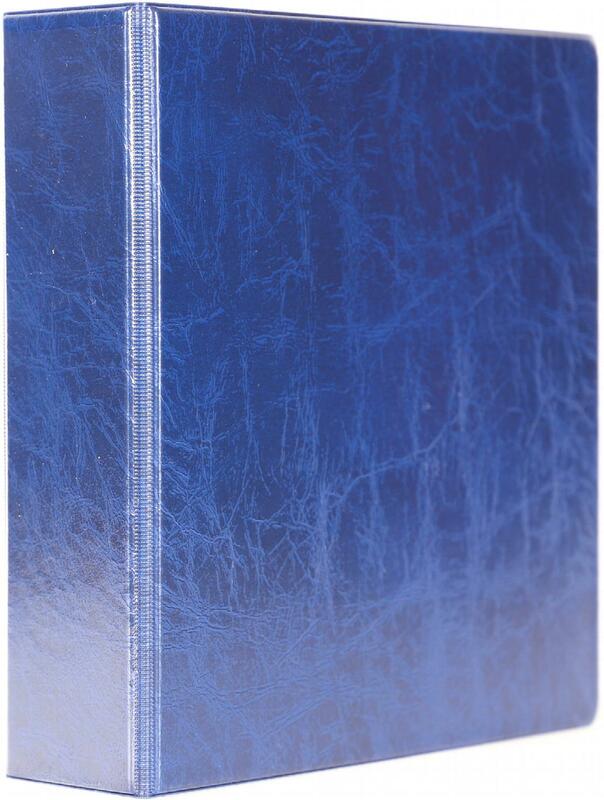 There is a transparent pocket on the spine, and the binder lays flat when open. It will hold up to 24 inert pockets, thus storing up to 48 certificates or documents when placed back to back. Please note these binders do not have the gold lettering on like our other binders. These archival quality sleeves take the modern certificates and hold two back to back. They are both inert and transparent. The landscape sleeves measure 30cm x 21.5cm (11¾" x 8½") approx. Pack of 10. 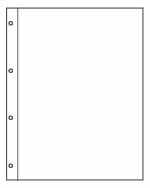 Please note these sleeves will only fit the A4 Landscape Binders, they will not fit the A4 Family History or Untitled Binders. This pack of acid free card inserts is desgined to fit in our A4 Sleeves (both portrait and landscape). This card keeps your documents flat and separates them for back to back display. Designed to separate various sections of an A4 Landscape Binder. One pack includes 5 dividers. Our A4 Square Hold-Alls come with a four D-ring mechanism, and are designed to hold all our sleeves including Square, A4 Portrait, A4 Landscape and A5 Sleeves. It is made from inert polypropylene which offers protection for your documents by completely enclosing them. Holds up to 50 pockets and includes a carry handle so you can take your documents with you wherever you go. Approx. size: 37.5 x 33 x 5.5cm (14.7 x 13 x 2.1 ins). Don't want "Family History" written on your binder? We also sell untitled A3 binders, which come without the gold lettering on the cover and spine of the binders. 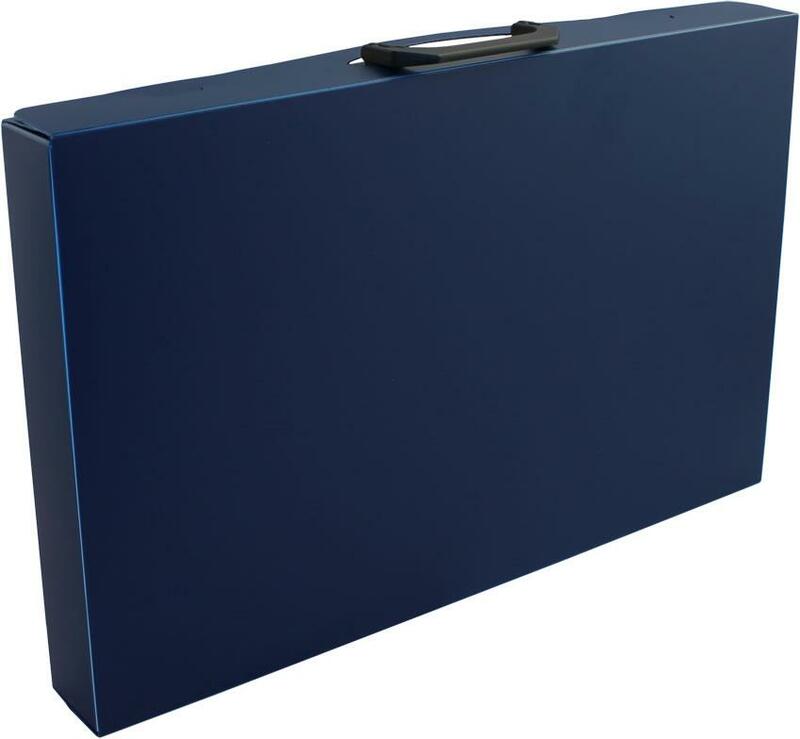 These luxury padded binders have a heavy duty 4 ring mechanism with strengthened covers to provide your documents with extra protection. The padded leather grained look binder has the word 'Family History' printed on the cover and spine in gold, and is designed for your A3 documents such as charts, census sheets and military records. Designed for use in our A3 Family History binders, these inert sleeves take two documents back to back giving archival quality, acid free storage. The pocket measures approximately 42.3cm x 30cm (16⅝" x 11¾"). These packs of acid free card inserts are desgined to fit in our A3 Family History Sleeves. This card keeps your documents flat and separates them for back to back display. Designed to separate various sections of an A3 Family History Binder. One pack includes 5 dividers. Our A3 Landscape Hold-Alls come with a four D-ring mechanism, and are designed to hold all our sleeves including A3, Long Certificate, Square, A4 Portrait, A4 Landscape and A5. It is made from inert polypropylene which offers protection for your documents by completely enclosing them. Holds up to 50 pockets and includes a carry handle so you can take your documents with you wherever you go. Approx. size: 52 x 33 x 5.5cm (20.5 x 13 x 2.1 ins). 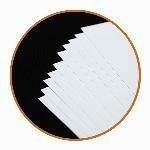 These luxury padded binders have a 2 D-ring mechanism with a lightly padded leather grained look. There is a full length clear pocket on the spine for easy indexing. Acid free, archival quality portrait A5 sleeves. With a top opening, they are suitable for storing leaflets/photographs etc. The pocket is approx. 215mm x 150mm.